Advance ticket information coming soon. Advance tickets available August 30 through Thursday, September 27. Tickets will also be sold at the door on September 30, subject to availability. The program features: Sonata in D Major, G.1 by Giuseppe Torelli (1658-1709); Legende by Georges Enescu (1881-1955); Trumpet Concerto in E-Flat Major by Franz Joseph Haydn (1732-1809); Sonatina by Hans Werner Henze (1926-2012); Nicholas DiBerardino, With Pinions of Immense Desire (b. 1989); Concertino by Roger Boutry (b. 1932); Fantasie by Francis Thomé (1850-1909). Mr. Franklin earned his bachelor’s degree from the Curtis Institute of Music studying with David Bilger. 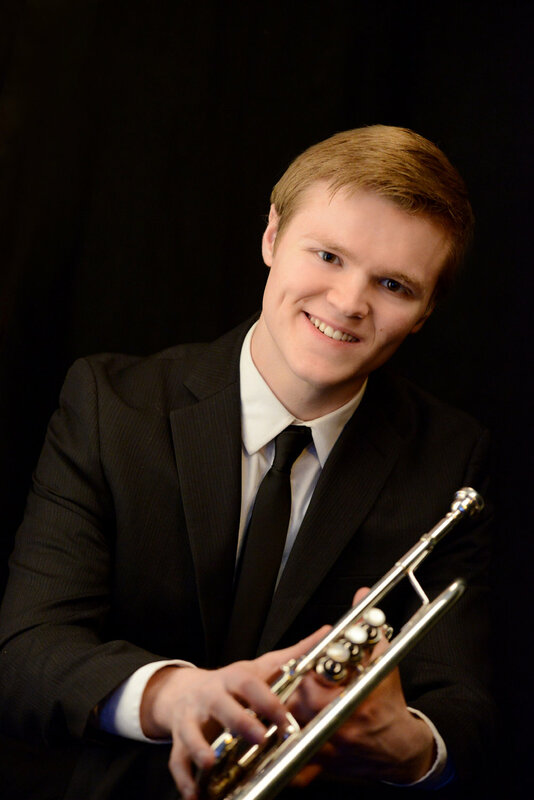 He attended the National Orchestral Institute in 2015, performing and recording as Principal Trumpet on Copland's Appalachian Spring (Naxos Records). As a soloist, he won first prize from numerous competitions, including the Roger Voisin Memorial Trumpet Competition, the International Trumpet Guild Solo Competition and the National Trumpet Competition. He has performed as soloist with the Ocean City Pops and Masterworks Festival Orchestra, among others. In addition to his career as a trumpet player, Mr. Franklin is an emerging composer. He was recently commissioned by the American Brass Quintet, Lake Placid Sinfonietta and members of the New York Philharmonic, Pittsburgh Symphony, The Philadelphia Orchestra and Boston Symphony. In 2015 the Curtis Trumpet Ensemble took first prize at the National Trumpet Competition playing Mr. Franklin's own Trumpet Sextet No. 2. His post-romantic style "looks back longingly to the abiding tonal sensibilities of Richard Strauss” (Philadelphia Inquirer). David Hughes is a Philadelphia-based pianist with a wide-ranging repertoire that places a special emphasis on modern and lesser-known works, as well as chamber music. He has performed at the Kennedy Center, Amsterdam’s Muziekgebouw and the Carmel (CA) Music Society’s subscription series. In 2014 he was featured on Philadelphia’s WRTI radio station as part of their "Music Makers" series: an hour-long segment in which he both discussed and performed solo repertoire. Mr. Hughes made his debut in Paris at the Cité Universitaire in a program of modern American works, sponsored by Orléans Concurs International. This event was preceded by a roundtable discussion about the state of contemporary music in France and America in which Mr. Hughes also took part. Mr. Hughes holds the Doctor of Music degree in piano performance from Indiana University Bloomington, where he served as an associate instructor of both private and class piano and conducted research into the writings of pedagogue Abby Whiteside. He also holds a Master's degree from Indiana and a Bachelor's degree from the Oberlin Conservatory, also in piano performance. His teaching is influenced by the Alexander Technique, Feldenkrais Method, and Zen Philosophy. He maintains a private studio in the Passyunk Square section of South Philadelphia. Advance tickets available August 30 through Thursday, October 4. Tickets will also be sold at the door on October 7, subject to availability. Grayson Zuber will perform Brazilian classical and, for the very first time, Suspiro Flamenco (Blane Bostock, guitar; Donna Bostock, rhythm; and dancer Liliana Ruiz) will bring Flamenco to Glencairn’s stage! 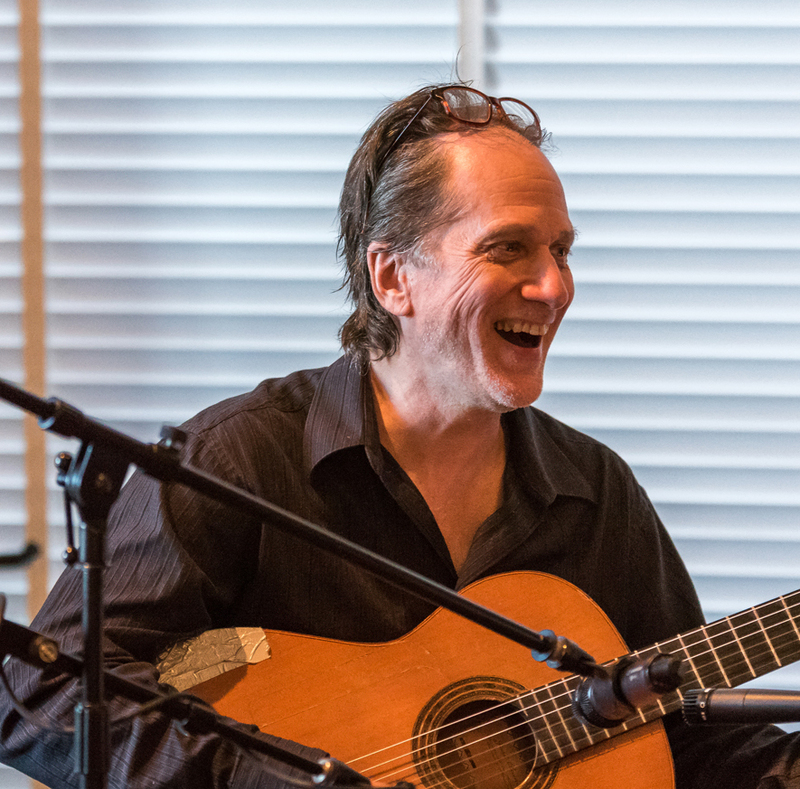 Grayson Zuber attended Temple's Boyer College of Music earning an MA in Theory with a classical guitar concentration. Grayson is a highly proficient guitarist who has been inspiring members of Swedenborgian New Church congregations, who attend devotional services at the Bryn Athyn Cathedral, with exquisitely performed Brazilian classical and other works on a regular basis for many years. The multi-talented Mr. Zuber is currently employed as a stone mason for the Cathedral as well. World-class guitarist Blane Bostock has studied with luminaries such as Dennis Sandole, author of Guitar Lore and teacher of virtuosos John Coltrane, George Benson and Pat Martino. Over the course of his long and storied career, Mr. Bostock has performed in small groups, big bands, jazz ensembles and rock, soul, disco and country bands. He appeared as a soloist with Latin legend Johnny Pacheco at the Allentown Symphony and Annenberg Center in A Night of Latin Classics, featuring arrangements commissioned for the concert by artists such as Reuben Gonzales and Bebo Valdes. In the spring of 2018 Blane, in collaboration with Liliana Ruiz, Donna Bostock, Yajaira Paredes Productions, La Fábrica and other area performers, presented Azul: Picasso's Blue Period with Live Flamenco Music and Dance at the Uptown Knauer Performing Arts Center and other venues. Donna Bostock has spent the last 24 years immersed in Afro-Caribbean culture; studying percussion and dance, while integrating that knowledge into performance and education. Ms. Bostock, currently a working freelance musician in percussion and upright bass, arranger/composer and music educator/director at The Philadelphia School and Academy of the New Church, has co-founded groups such as Ellas y Amigos, The Molly Blooms, Trickster Sister, and The Bostock Band. Donna has organized and participated in study programs in Cuba, Puerto Rico, Bolivia, Spain and Brazil in order to expand her capacity to perform and disseminate her specialization: Afro-World Rhythms and music. Her most recent creative endeavors include providing the foundation for the rhythm section on multiple instruments for Suspiro Flamenco. Acclaimed performer Liliana Ruiz was raised in Mexico City in a Spanish culture-based home. She started dancing classical ballet and performing arts at the age of six. Shortly thereafter, she began Classical Spanish dance and Flamenco, and has been actively performing ever since. Her notable dancing credits include performances with Placido Domingo, Julio Iglesias and Benitez Carrasco, among others; and performances in local venues such as the Kimmel Center with Peter Nero and the Philly Pops, and the Suzanne Roberts and Wilma Theaters. Ms. Ruiz also founded the dance company Suspiro Flamenco, which has performed in festivals and celebrations throughout the Philadelphia area, and has choreographed musical plays and participated in the Philadelphia Fringe Festival on several occasions. Ruiz performs internationally with La Revancha. Recently, she danced and choreographed Carmen with The Philadelphia Virtuosi Chamber Orchestra. Raymond and Mildred Pitcairn pose with children and grandchildren on Christmas Day (1961) in Glencairn’s Upper Hall. Santa and his reindeer are the centerpiece of the holiday table. The Museum welcomes back virtuoso, Elizabeth Pitcairn, with her legendary 1720 Red Mendelssohn Stradivarius (“The Red Violin”), renowned cellist Evan Drachman, and acclaimed pianist Barbara Podgurski, for a special program featuring works by seminal composer, Ludwig van Beethoven. Tickets available through 5:00 pm on Thursday, November 2. Visit the Museum or call 267.502.2990. Tickets will also be sold at the door, beginning at 2:30 pm on Sunday, November 5, subject to availability. Reserved seats for Patron Members only: call 267.502.2990 to reserve seats by 5:00 pm on Thursday, November 2. The Heritage Duo Ensemble is a concertizing team of “East meets West” featuring spirited artists from South Korea and the United States. Pianist Sin Ae Lee and bass trombonist Darrin C. Milling present a program of masterworks by Schumann, Rachmaninoff, Mahler and more with a fresh new sound and look that are captivating audiences of all ages and backgrounds. The original Duo formed in 2016 in São Paulo, Brazil, and, in 2017, performed its debut concert at the International Winter Festival of Campos Do Jordão, founded by the late Brazilian conductor Eleazar de Carvalho (1912 - 1996). Co-owner and artist Sin Ae assumed her role with Heritage on July 17, 2017 and the Duo immediately continued its activities on stage, as well presented a chamber music workshop, at the São Paulo State School of Music. 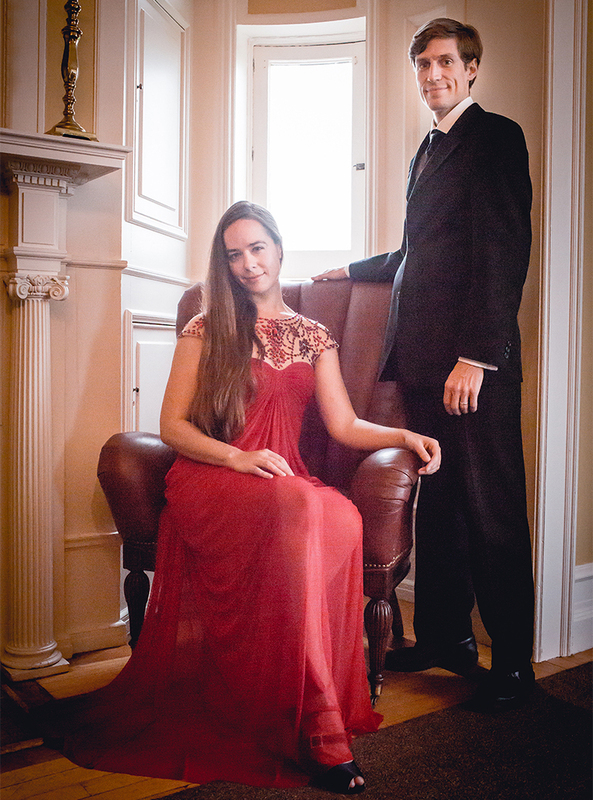 The Heritage Duo is one of few fixed piano and bass trombone combinations in the world and seeks to break barriers in the chamber forum by exhibiting the important musical dialogue that exists between their instruments and people from various regions. The program at Glencairn Museum will include works by Müller, Schumann, Rachmaninoff, and others. Born in Seoul, South Korea, Sin Ae Lee began musical studies as a 5-year old and won the Jo Shun Piano Competition at age seven. Sin Ae moved to Brazil as an adolescent and studied under the tutelage of Margarida Fukuda before entering the University of Santa Marcelina with a scholarship from the Korean Jo-Su Newspaper. At the University, she studied with current mentor, Maria José Carrasqueira, and was a special coach and guest harpsichordist for the opera production of “La Serva Padrona” by G.B. Pergolesi with Santa Marcelina’s Department of Opera which performed in São Paulo and the inaugural Music Festival of the city of Fortaleza. In 2000, Ms. Lee won prizes at the 18th National Piano Competition in the City of Araçatuba and the 3rd National Competition in the City of São Caetano do Sul. As an active soloist and chamber musician, Ms. Lee was featured soloist with L’Estro Armonico Chamber Orchestra and has appeared on music series at the São Paulo Museum of Art, the Brazilian Museum of Sculpture (São Paulo) and the Theatre of São Pedro (Porto Alegre). In addition, she has performed recitals in the cities of João Pessoa, Natal, Pelotas, Santa Maria and Santa Cruz do Sul. Sin’s vast performance experiences throughout Brazil, include engagements with the São Paulo State Symphony Orchestra’s Children and Youth Choirs, as well chamber collaborations with various instrumentalists from the region’s most renowned professional orchestras. Darrin C. Milling was born in Baltimore, Maryland (USA) and is a graduate of The Curtis Institute of Music. He is bass trombone principal of São Paulo State Symphony Orchestra, an artist-clinician of the Edwards Instrument Company, co-founder of Low Brass Project chamber ensemble, founding member of São Paulo Brass Quintet and an associate artist of The Rodney Marsalis Philadelphia Big Brass. Darrin held the bass trombone position with the former Pennsylvania Opera Theater Orchestra, was a fellow of New World Symphony and, during his high school years, the youngest appointed member to the former Chesapeake Brass Quintet and Louis Hamlin Baltimore Big Band. Mr. Milling’s performed with The Philadelphia Orchestra, San Francisco Symphony and Baltimore Symphony. He has appeared as soloist in front of DePaul Chamber Orchestra, Chester Community Concert Band, São Paulo State Youth Symphonic Band, Luzerne Music Center's Symphonic Band and in chamber series throughout the world. $10 per person | Free for Members. Please note: as of December 1, 2017, advance General Admission tickets are sold out. Reserved seats for Gold and Patron Members are still available, but are going fast. Call 267.502.2990 for reservations by 5:00 pm on December 11 (subject to availability). There will be a limited number of tickets available at the door on Tuesday, December 12, beginning at 7:15 pm. Consider coming early to queue to purchase tickets. Tickets available Thursday, October 12 through 5:00 PM on Monday, December 11. Call 267.502.2990 or email info@glencairnmuseum.org by 5:00 PM on Monday, December 11 to purchase tickets. Tickets will also be sold at the door on December 12, subject to availability. Reserved seating for Gold and Patron members only. Call 267.502.2990 or email info@glencairnmuseum.org by 5:00 PM on Monday, December 11 to reserve your seats. Take part in a tradition as rich as it was eight decades ago, when Raymond and Mildred Pitcairn first welcomed family, friends and the local community into their home for the “Glencairn Sing.” This year's program will once again feature the “Glencairn Horns” (including newcomer Steven Franklin, currently enrolled in the Curtis Institute of Music, on trumpet, and current and former members of the Philadelphia Orchestra) interspersed with other ensemble performances, soloists, audience caroling, and readings from the Christmas story. The March 18 concert will include selections from Maurice Ravel, Franz Schubert, Richard Strauss, and Henryk Wieniawski (see the full program below). Ms. Pitcairn will again be joined by pianist Louise Thomas. American violin soloist Elizabeth Pitcairn performs in partnership with the legendary 1720 Red Mendelssohn Stradivarius. She has appeared as soloist with the Philadelphia Orchestra, and debuted in New York at Alice Tully Hall with the New York String Orchestra. Ms. Pitcairn has since performed at Carnegie Hall, Walt Disney Concert Hall, the Fisher Center and the Kimmel Center. She is the President, CEO and Artistic Director of the Luzerne Music Center Festival, a summer camp for gifted young musicians ages 9 to 18 in the Adirondacks of New York. Originally from Bucks County, Pennsylvania, she resides in Los Angeles. Ms. Pitcairn received her degree from the University of Southern California where she studied with renowned professor Robert Lipsett. Ms. Pitcairn is on faculty at the Colburn School of Performing Arts. The 10th Anniversary edition DVD of The Red Violin film features Ms. Pitcairn and the Red Mendelssohn Stradivarius in a special feature called "The Auction Block". Irish-born pianist Louise Thomas has concertized extensively throughout Europe, North America and Asia at such concert venues as the Tchaikovsky Conservatoire in Moscow, the Franz Liszt Academy Museum in Budapest, the Forbidden City Concert Hall in Beijing, Walt Disney Concert Hall in Los Angeles and Weill Hall in New York City. She completed undergraduate musicology studies at Trinity College, Dublin, and later received her doctorate in piano performance in 1999 from USC where she studied with John Perry and director of Keyboard Collaborative Arts, Alan Smith. Dr. Thomas has be awarded various scholarships and prizes, and has been involved in multiple recording projects. Dr. Thomas joined Chapman University in 2001 as Director of Keyboard Collaborative Arts. In June 2014, she was named the Associate Dean for the College of Performing Arts at Chapman. Posaune Decuple at their 2011 Glencairn concert. The April 29 program will include works by J.S. Bach, Anthony DiLorenzo, G.F. Handel, Tommy Pederson, Steven Verhelst, Heitor Villa-Lobos, and more. Tickets on sale through Wednesday, October 26. Call 267.502.2990. Tickets may also be purchased at the door beginning 30 minutes prior to the performance. Reserved seats for Patron Members only, through October 26. Patron Members can call 267.502.2970 or email peter.childs@glencairnmuseum.org to reserve seats. Julian Gargiulo is a pianist, composer and recording artist. He has performed in the United States, Canada, England, France, Germany, Greece, Philippines, Thailand and China to both public and critical acclaim. Mr. Gargiulo plays regularly in halls such as Carnegie Hall (U.S.), Moscow Conservatory Hall (Russia), Verona Philharmonic Hall (Italy), The Esplanade (Singapore) and the Seymour Theatre Centre (Australia). Born and educated in Italy, Mr. Gargiulo also studied in Russia and the U.S., where he received his Doctor of Musical Arts Degree at the University of Maryland. Television and radio appearances include stations such as RAI International TV (Italy), RTN TV (Russia) and SBS Radio (Australia). In 2015 Mr. Gargiulo presented the first edition of “Getting to Carnegie”, an International Music Competition which featured musicians from around the world vying for a chance to share the stage with him at Carnegie Hall. Mr. Gargiulo currently splits his time between New York and Paris. $20 General Admission, $15 Students and Basic Museum Members, Free for Gold and Patron Museum Members. Tickets may be purchased in advance through November 2 by calling 267.502.2990. Tickets may also be purchased at the door beginning 30 minutes prior to the performance. Reserved seats for Patron Members only, through November 2. Patron Members can call 267.502.2970 or email peter.childs@glencairnmuseum.org to reserve seats. Follow the twelve Sibyls of Orlande de Lassus's enigmatic Prophetiae Sibyllarum on a journey through the sinuous chromaticism and intense emotionality of the musica reservata. Also featuring works by Wert, Weelkes, Hassler, de Rore and Gesualdo. Praised for their “polished singing” and for “instilling their superb performances with liveliness and theatricality” (The Boston Musical Intelligencer) and for their “brilliant and moving” programming (Early Music America magazine) Les Canards Chantants is a solo-voice ensemble committed to dynamic interpretation of renaissance polyphony. The “singing ducks” have performed to high acclaim throughout the UK and Germany, appearing on BBC One and in venues as diverse as York Minster, The National Centre for Early Music, and Poole’s Cavern. Now based in Philadelphia, Les Canards Chantants are musical Ensemble in Residence at Glencairn Museum. Les Canards Chantants have released two CDs to date, and are also becoming known for their quirky music videos on YouTube. Their first CD, Two in the Bush, a collaboration with lutenist Jacob Heringman and lute-viol duo Pellingman’s Saraband, is an intimate interpretation of the sacred vocal music of the Catholic underground in Reformation England, recorded by solo voices with lute and viol in a historic family chapel. Their second CD, released in November 2016, is the world premier recording of Giovanni Valentini’s intense and experimental Secondo libro de madrigali, recorded in collaboration with baroque string band ACRONYM. $10 general admission, FREE for Museum members. No advance ticket sales. Reserved seating for Gold and Patron members only. Reservations required by Monday, December 12. Contact 267.502.2990 to reserve your seats. Reservations accepted beginning November 1, 2016. Join us as the Museum continues a Raymond and Mildred Pitcairn family tradition and hosts the “Glencairn Sing,” a Christmas concert open to the public. The program will feature the “Glencairn Horns,” composed of current and former members of the Philadelphia Orchestra (David Bilger, trumpet; Blair Bollinger, bass trombone; Eric Carlson, trombone; Randy Gardner, horn; Daniel Williams, horn) and Les Canards Chantants, ensemble-in-residence at Glencairn Museum. Readings from the Christmas story and audience caroling will be interspersed throughout the program. Tickets available Sunday, February 19 through Thursday, March 16. To purchase tickets through Thursday, March 16, visit the Museum or call 267.502.2990. After March 16 tickets will be sold only at the door, beginning at 2:30 pm on Sunday, March 19. Gold Members: please call 267.502.2990 by March 16 to reserve your tickets. Reserved seats for Patron Members only: call 267.502.2990 to reserve seats by March 16. The March 19 program will include works by Franck, Mendelssohn, Saint- Saëns, Vivaldi and Wieniawski. Ms. Pitcairn will again be joined by Louise Thomas, and there will be special appearances of Luzerne Music Center Festival students, Malachi Ahlert (violin), Sarah Martin (cello) and Ellie Taylor (piano). $15 General Admission, $10 Basic Members/Students with I.D. Free for Gold and Patron Members. Advance tickets available Thursday, March 30 through Thursday, April 27. To purchase tickets through Thursday, April 27, visit the Museum or call 267.502.2990. After April 27 tickets will be sold only at the door, beginning at 2:30 pm on Sunday, April 30. Reserved seats for Patron Members only: call 267.502.2990 to reserve seats beginning March 30. Since its formation in 1987, the Grammy nominated Wister Quartet has earned high praise from critics and audiences alike for its superb musicianship. Memorable performances include those with guest artists Emanuel Ax, Alicia de Larrocha, Christoph Eschenbach, Wolfgang Sawallisch, and Yo-Yo Ma. Group members include (left to right) Nancy Bean, violin; Lloyd Smith, cello; Pamela Fay, viola; and Davyd Booth, violin. $20 General Admission, $15 Basic Members/Seniors/Students, Free for Gold and Patron Members. Advance tickets available Tuesday, April 12 through Tuesday, May 9. To purchase tickets through Tuesday, May 9, visit the Museum or call 267.502.2990. After May 9 tickets will be sold only at the door, beginning at 7:00 pm on Friday, May 12. Reserved seats for Patron Members only: call 267.502.2990 to reserve seats beginning April 12.